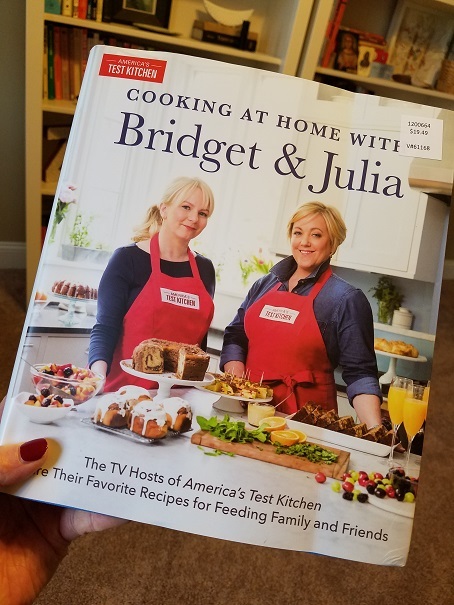 I’ve been having a love affair with “Cooking at Home with Bridget & Julia” lately. At Christmas-time while shopping for gifts, I happened to pick this book-up just for me. 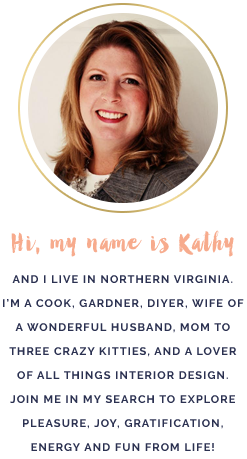 Let me tell you…WOW WOW WOW! Everything I’ve made so far, which is about 8 different recipes, have been nothing short of amazeballs. Last night, I made the Pasta e Ceci (Pasta with Chickpeas) and man-oh-man it was sooooo good. I could have eaten at least 2-servings. In fact I ate it leftover for breakfast today. I was originally inspired to buy this book based on a video I watched of Bridget & Julia making “Korean Fried Chicken Wings”. I thought to myself, “I need to make these.” And when I spotted this book and the recipe was in it, BOOM! Best decision. In fact I DID make the “Korean Fried Chicken Wings” and both me and my husband have declared them to be the best chicken wings we’ve ever eaten in our lives! I even ordered a large, electric deep fryer just for this occasion, as I hate frying anything indoors. I can make these out on the porch with an electric fryer now! But back to the Pasta e Ceci (pronounced PASTA CHEECH). Again we’ve been pointing ourselves away from carbs this year, but man…sometimes you just gotta have it! I could not have asked for something more perfect as pasta cravings go. Even better, this is pretty easy to throw together and quick to make. 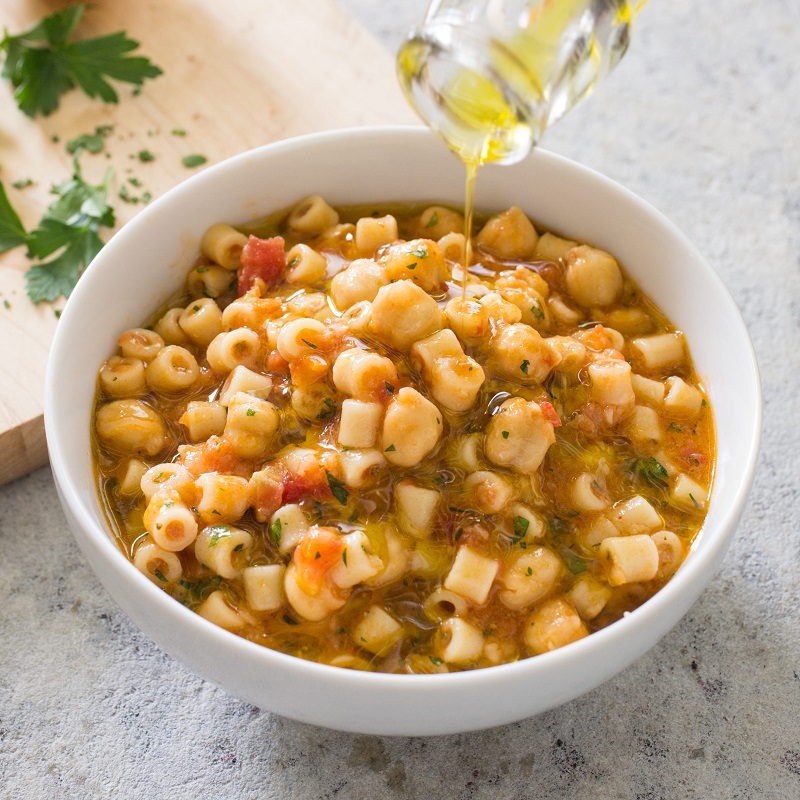 Sprinkle some grated Parmesan cheese on top with a drizzle of olive oil = Heaven! Recipe Source: "Cooking at Home with Bridget & Julia"
Process pancetta in a food processor until ground to a paste, about 30 seconds, scraping down sides of bowl as needed. Add carrot, celery, garlic, and onion to pancetta and process until ground into a paste, scraping down processor sides as needed. Preheat Dutch oven over medium/high heat with olive oil, add pancetta mixture, and cook, stirring frequently, until fond starts to form on bottom of the pot. In the meantime, process tomatoes in food processor until coarsely chopped, set aside. Add anchovy, pepper flakes, and rosemary to pancetta mixture, and cook until fragrant, about 1 minute. Be sure to mash the anchovy while cooking. Stir in tomatoes, chickpeas (and their liquid), water, and 1 teaspoon of salt. Bring to a boil, scraping any browned bits, then lower to a simmer and cook for 10 minutes. Add pasta and cook, stirring frequently, for 10-12 minutes, until pasta is cooked al dente. Stir in lemon juice and parsley. Season with salt and pepper to taste. 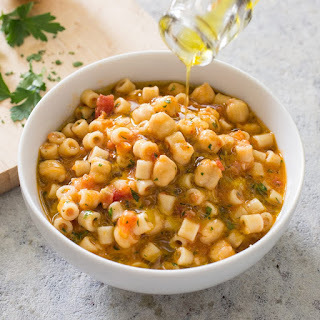 Serve with grated Parmesan cheese and a drizzle of olive oil on top.